California cities may turn to bankruptcy courts to ease pension obligations after a judge ruled the California Public Employees Retirement System doesnt deserve special protection. 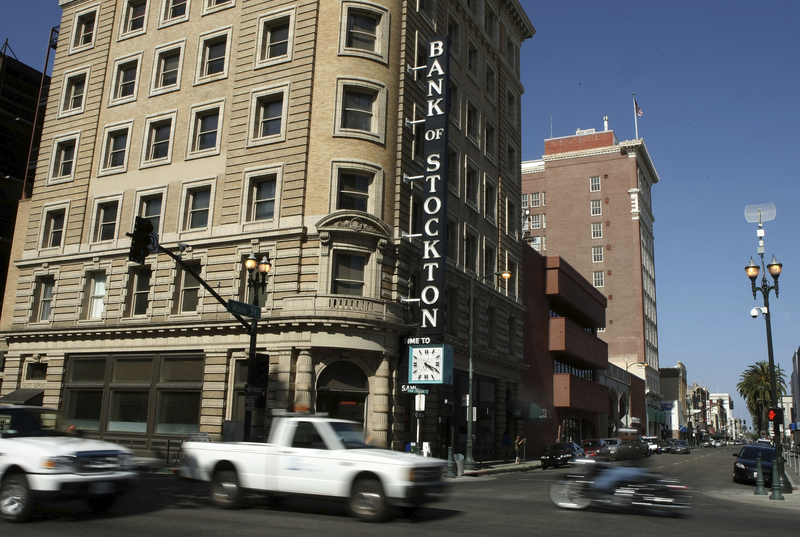 Stockton, California, for a time lead the nation in foreclosures. Photo: Getty Images. (Bloomberg) — California cities may turn to bankruptcy courts to ease pension obligations after a judge ruled the California Public Employees’ Retirement System doesn’t deserve special protection, a decision that may reverberate across the country as municipalities struggle with their finances.